CITRUS is a non-profit association, established in November of 2002. Situated in the Mid Pyrénées, it is one of the regional delegations of Solidarités Jeunesses, a national association for youth and education, approved by the French Ministry of Youth and Sports. CITRUS has been a committed European Youth Programme organisation since its creation, as a sending organisation between 2003 and 2005, and a host organisation since 2009. Citrus wishes to continue its involvement in the European encounter. – international volunteers : young volunteers, who come from five continents, choose to participate and to support the actions of our association, by participating in workcamps of three weeks. – inhabitants: workcamps and activities are open to everyone. Inhabitants of the municipalities join our actions, which allows us to appeal to all generations. – people who are in the process of reintegration : people of the surrounding municipalities, who are in difficulties of social and professional inclusion. We have the opportunity to host JAMO volunteers in two actions: in the workcamps and in the reception of international volunteers. Our experience in volunteering and in the social domain provides the opportunity to work with young people with less opportunities. – daily support by the leader, who is in charge of the volunteer group. – support of other volunteers who join the group. There will be special attention to the JAMO volunteer, how to react during certain situations or to alert the moderator if the need arises. – as soon as the need arises, and at least once a week, the tutor will discuss the situation with the volunteers. The work, which is proposed to the volunteer, will be defined with the workcamp leader who is already familiar to this type of reception (via training). We are not equipped to host handicapped volunteers and we do not have the skills to accommodate severely mentally disabled volunteers. The association CITRUS has been situated in the department of Tarn-et-Garonne since 2006, where it attempts to establish long-lasting ties with the local communities. Situated around Quercy, the calcareous trays shape the landscape, which consists of numerous beech and oak, groves and rivers (Gorges de l’Aveyron). The local architectural heritage is characterised by typical medieval buildings (les Bastides) and the utilisation of natural materials, such as stones and earth. The diversified landscape and the lot of natural and historical places characterise the region, where agriculture and green tourism are the main activities. Hence, the possibilities for the young population concerning work and cultural activities are often seasonal (basically in summer). 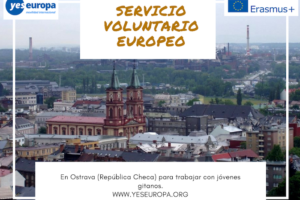 The presence of young European volunteers and the existence of projects allows the proposal of activities during the whole year, represents an important stake for the local dynamic. Reception for the project is in Laguépie, a small village with 730 inhabitants, in the region “Pays Midi-Quercy”, situated in a rural and isolated area, about hundred kilometres north-eastern of Toulouse. On the border of Laguépie, there is another village called Saint-Martin-Laguépie with 500 inhabitants. 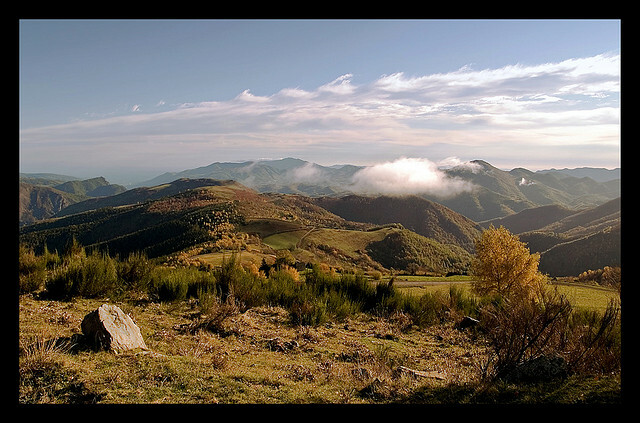 This territory of Occitan traditions is covered by an associative net, which organises social and cultural activities, in an environment marked by weak economic activities and the ageing of the population. The association CITRUS wishes to welcome a group of international volunteers during the whole year in a common place of life, in order to facilitate the meeting and the multiplicity of exchanges. 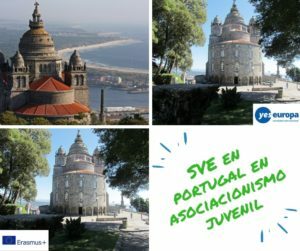 The EVS volunteers will be accommodated in collective housing, in a big house in the centre of the village, which is provided by the municipality. All the hosted people participate in the tasks of daily life and are requested to respect the collectively established rules of life – schedules, sharing out daily tasks, etc. – everything that concerns the inter-cultural exchange. The association CITRUS makes a commitment to facilitate communication for the volunteers by assuring a regular and free access to Internet, also by opening a telephone line in order to receive calls at the hosting place, and by looking out for possibilities of transportation according to needs (bicycles, minibus, public transport possibilities by bus in the local area, and train station in Laguépie : one hour by train from Toulouse). Laguépie is at 35 minutes by car from Septfonds (head office of the association Citrus), and it is about thirty kilometres from the towns of Albi (50 000 inhabitants), Gaillac (12 000 inhabitants), Villefranche-de-Rouergue (12 000 inhabitants), and also about 70 km from the city of Montauban (55 000 inhabitants). 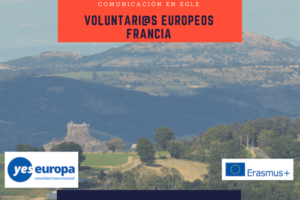 To encourage the initiative and independence of long term volunteers, lessons in French will be given once a week by the permanent and volunteers members of the association. Some materials may also be made available according to needs, and special emphasis will be given on the ability of volunteers to develop and maintain contacts with the local population. In fact, dialogues with storekeepers, inhabitants and partners are often in French, and are the best way to learn this language. Volunteers will work 30 to 35 hours per week and take their holidays in consultation with the team, according to the season and needs of the association. Two half days per week are given to the conception and realisation of their personal projects and language support. By participating in workshops and meetings organised by the association, volunteers are actively involved in the associative life, contribute to the general organization of the implemented activities, and can propose their own ideas. Long Term volunteers will be an integral part of the association’s team. Each week they will participate to the meetings and the preparation of activities. The multiple experiences of hosting volunteers and trainees are convenient to ensure good conditions for the integration of EVS volunteers. 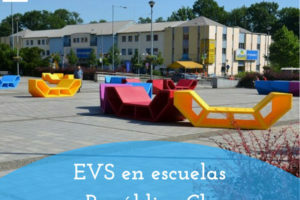 They will also have the possibility to meet other long term EVS volunteers of the region, coming five times a year to the regional committee with the organisations belong to the EVS Program. The association’s members will facilitate the integration of volunteers in the local community by offering to participate in a multitude of activities and meetings. The association will also ensure the competence and qualifications of the responsible persons, who will have the opportunity to keep up with a training plan. The volunteers will be monitored by a tutor, responsible for welcoming volunteers, whose role is to facilitate their integration, promote adoption of their own project, and assist them in achieving personal project(s) . 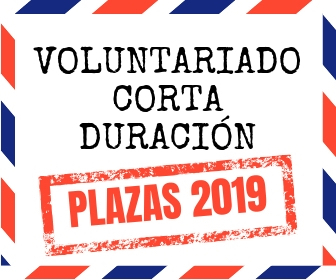 As soon as the need arises, and at least once a month, the tutor will discuss with each volunteer their project status and the success of voluntary service. If necessary, other members of the association may provide support, as requested by volunteers. Solidarités Jeunesses does not ask volunteers, who wish to participate in the projects of long term voluntary services, for particular skills – consequently there has never been established a profile for coming volunteers. At the same time we try hard for our partner associations to provide us with detailed indications concerning the content and the modalities of the projects, so that the future volunteers have all the elements and are able to choose an adequate project. In agreement with the spirit of the program, Solidarités Jeunesses considers it necessary to make the projects of voluntary service accessible to everyone, who is motivated and interested in participating, without distinction of skills, social environment or gender. Whatever their level of study or their experience of life might be, all volunteers participate in an informal exchange of knowledges during the projects. We expect that the volunteer has a good understanding of the global project, and that he or she wants to be part of the group dynamic of and the collective life. We consider volunteering as an act of exchange between a volunteer, who offers his or her time, work, and energy for the benefit of a project of common interest and a host community that offers the volunteer a field of learning, testing and personal development. Based on these principles, the most important aspect for the association is the volunteer’s motivation, their willingness to engage and to share with others. We ask that volunteers are motivated, open minded and ready to make concessions in order to work as a team and live with other people. Their ability to communicate (learning the language as well as also non-verbal communication) is an important factor in order to establish ties with other people, but communication will not be a problem if the person is determined to learn the language. The volunteer must also consider the geographical background, as the project is located in a secluded and rural area. The concept of partnership is one of the fundamental values of Solidarités Jeunesses. Our volunteer activities are based on the principle of exchange, and are made possible through strong and sustainable exchanges. 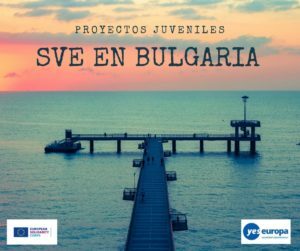 Through an extensive network of partners and participation in international activities – particularly in the framework of the Program European Youth in Action – we strive to establish a working relationship based on reciprocity and trust, and like to create new partnerships with organisations that promote the same values as Solidarités Jeunesses, and which have the desire to fulfil significant projects for young people. We encourage the establishment of regular contacts with partner organisations that respond to our aims, concerning places in our volunteer projects. The role of the partner association is essential, as it helps to clarify the important elements about the values of volunteer projects, volunteer responsibilities and the formalities of the project. Nevertheless, we would like to know the desires and/or problems of a youngster before his arrival, in order to ensure adequate conditions and activities. After this first contact, the volunteers will complete the registration form of Solidarités Jeunesses and will send us a letter of motivation. 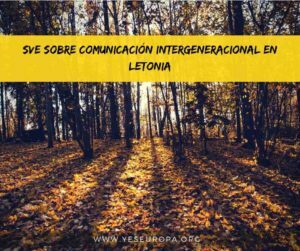 These elements are used as pedagogic material to guide the evaluation of the project and the voluntary service. Before the arrival, volunteers will be contacted directly by the hosting association to have an exchange on the understanding of the project. Being an educational movement, Solidarités Jeunesses implements a pedagogy that considers the individual as a whole, and to adjust the aids as needed. In general, CITRUS shall ensure the physical safety and emotional health of the hosted persons, whatever their status or role in the structure will be, and aims to develop procedures for their support and evaluation, so as to prevent the occurrence of crisis situations. Good advance information about the reception conditions: accurate description that allows the volunteer to get a clear idea of the place, where he or she will live for a while. Each volunteer has his own equipment, clothing, shoes and gloves to work safely. – Regular meetings between tutor, partner and volunteer. The involved permanent employees have participated in training and/or profit from an experience in terms of leadership and supervision. The presence of permanent employees and our operating modes (tutoring, coordinator at the national office of Solidarités Jeunesses, playful and participatory working methodology) are our tools to deal with most situations of crisis or conflict, in order to find the best solution for the volunteer and the hosting organisation. 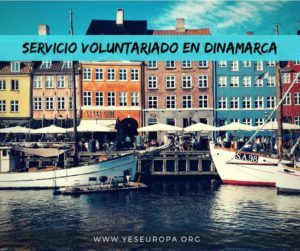 Furthermore, the volunteer has the possibility to have several people as tutor, who refer to the association (permanent employees, elected board of directors, volunteers) with whom he or she can discuss during their European Voluntary Service. In addition, regular meetings are held so that project management can be discussed and assumed by all these actors, permanent employees, local and international volunteers. All documents written in english you can send to: asociacionbb@gmail.com with subject “Citrus Francia”.